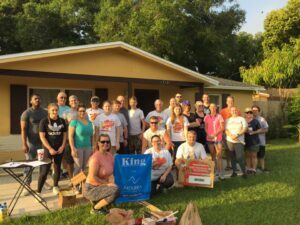 “Paint Your Heart Out, Clearwater!” is a not-for-profit, community partnership comprised of local Florida businesses, community groups, and concerned citizens committed to improving the quality of life for disadvantaged homeowners and a focus on revitalization through an annual one-day event whereby selected homes in targeted residential neighborhoods are cleaned-up and painted. A number of our colleagues at ExportAction recently gave time during a weekend to “Paint Their Hearts Out.” Well done and thanks to Natalie, Nicole, Sara, and Wadson. Do trade deals benefit small companies? Workforce analytics – efficiency tool, or big brother?